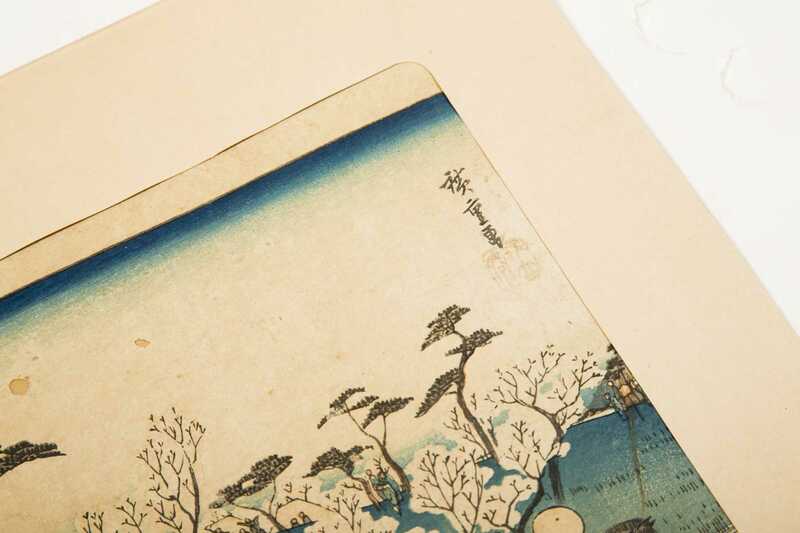 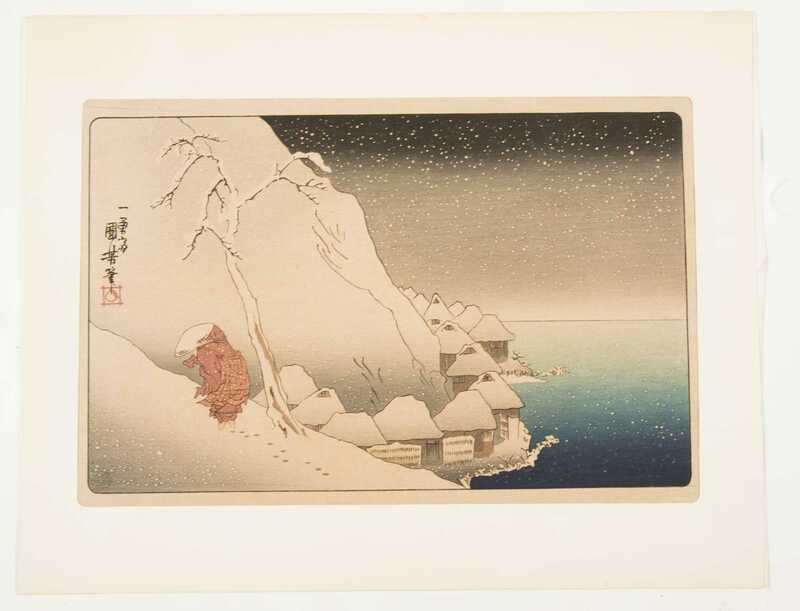 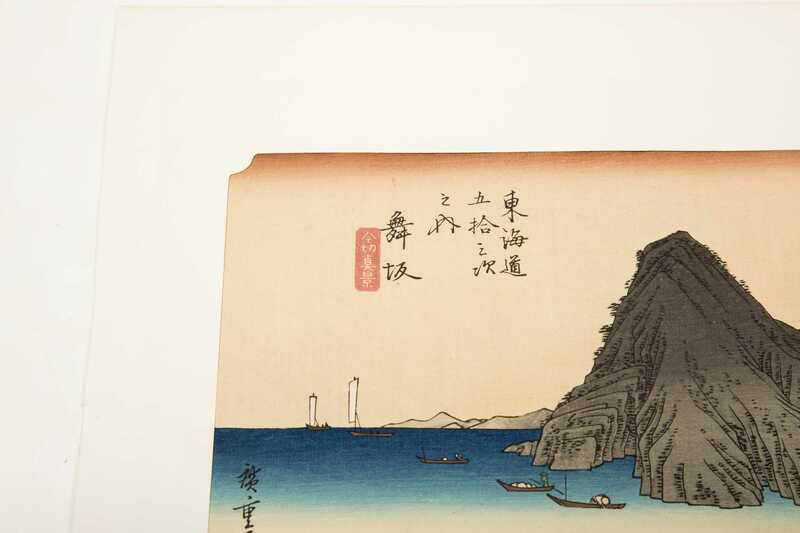 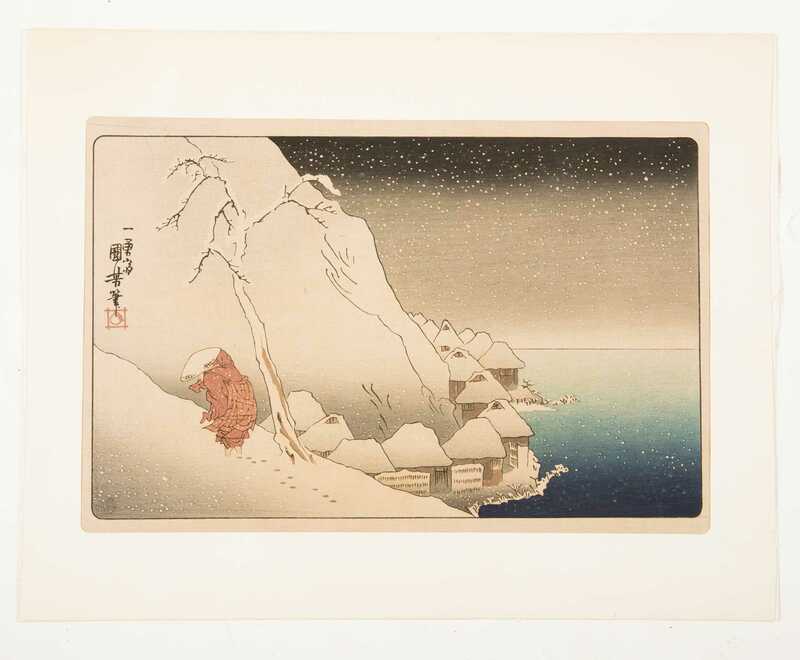 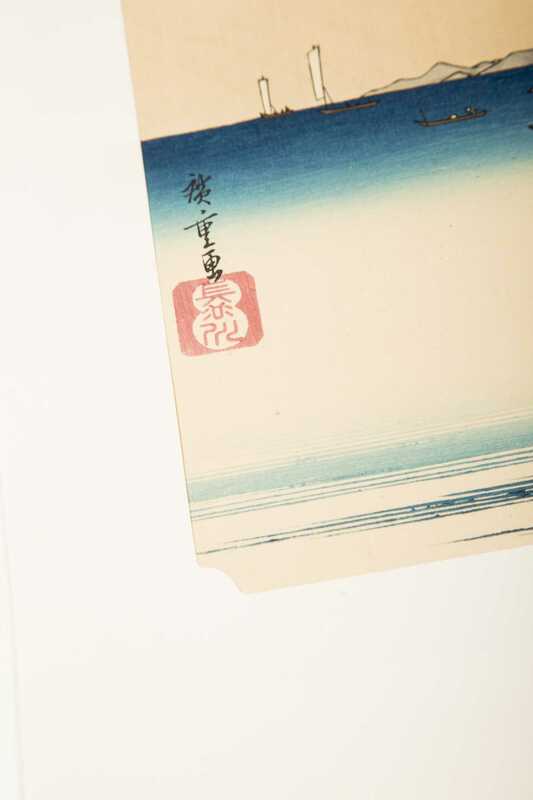 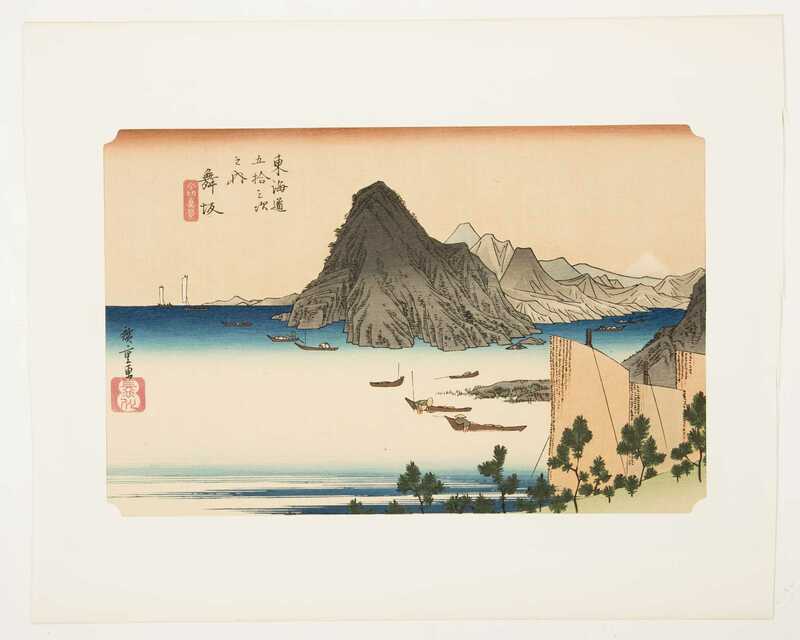 Lot of Six Japanese Block Prints, A) Two are of winter snow scenes matted and unframed. 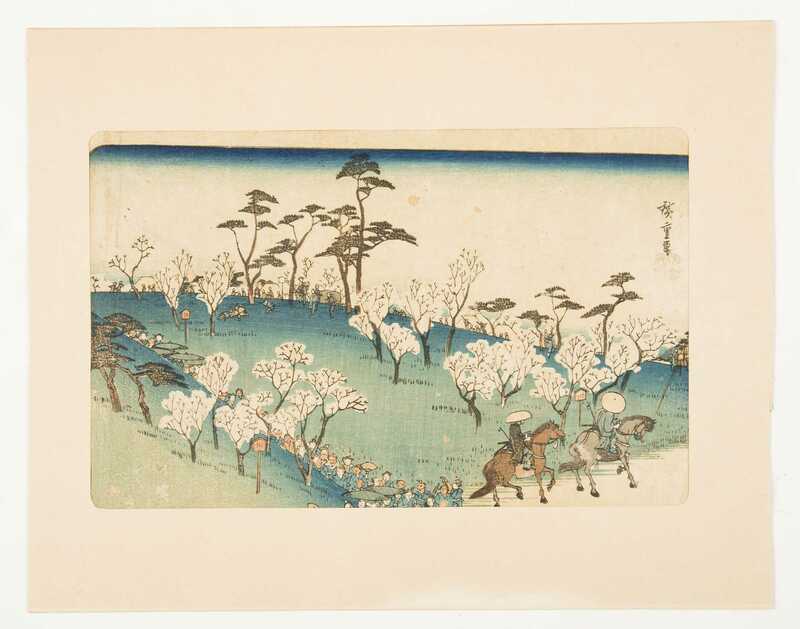 B) Two others, one depicting a parade of people viewing the flowering trees, the other a harbor scene with clam harvesting. 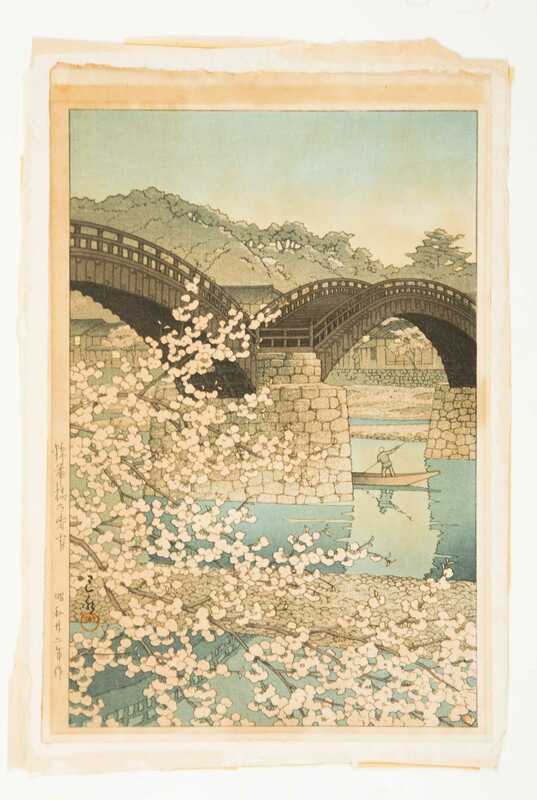 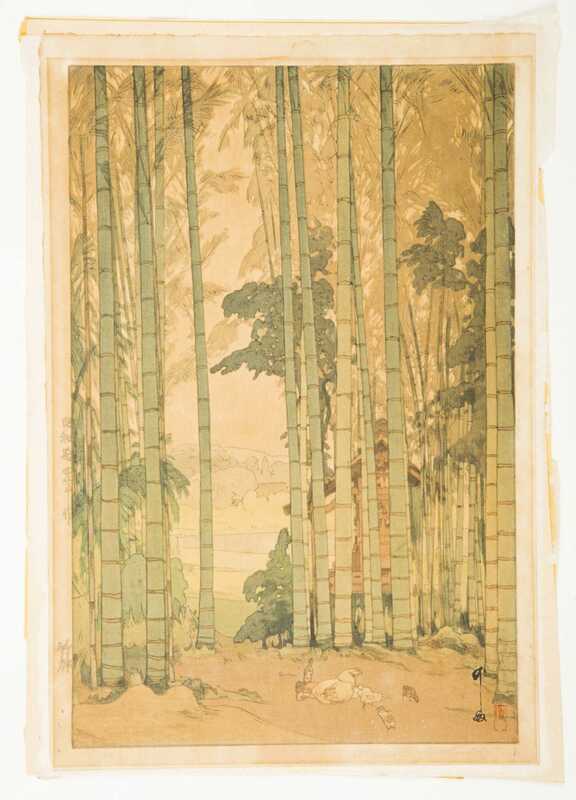 C) Two are glued down on paperboard, bamboo forest and flowering trees by a double arched bridge.